Tested, In Good working conditions. A pin or so may be very slightly bent upon arrival of CPU. Processor is in good working order. 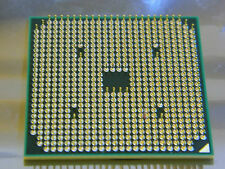 Cpu Socket All processors sold are fully tested working. Condition: Used. Point Of Sale. Clock Speed: N/A. SALE IS FOR CPU ONLY! Delays are due to security checks and procedures by your Country’s Custom’s Service. We have over twenty years experience and can help solve many problems. Our advise and help is free! 1x PU234E module. 1x AI32 module. 2x AO32 module. 1x IN51 module. 1x ML11 module. 1x AC61 module. Product Type: PLC. Units without batteries have failed this testing, and are removed. Laptop Part Number. We encourage you to select one of the other services provided at CHECK-OUT, depending on how fast you need it. PART #: HDD2F24. MODEL: MK2561GSYN. DEVICE TYPE: SATA. INTERFACE: SATA 3.0GB. CONDITION: NEW in manufacturer's pkg. INCLUDES: Drive Only. The TE-H Series incorporates Toshiba’s TE Series SSS into a heavy-duty enclosure that is ready to work right out-of-the box. • Circuit Breaker with Door Operator. WALL MOUNT HEAVY DUTY ENCLOSURE. TE-H SERIES. Laptop Part Number. We encourage you to select one of the other services provided at CHECK-OUT, depending on how fast you need it. Highly competitive pricing. Toshiba Ql62 Dual Core 2.00ghz Processor P/N: V000140930 - Toshiba CPU 2.00GHZ QL62 DC Laptop Processors NEW Bulk. But there will be rare occasions when my best efforts are not enough and the item you have received has problems. I will do my best to answer promptly. We partner with the largest computer part wholesalers throughout the United States and provide the highest quality products available. We strive to be your #1 source for computer parts. Operated From. We strive to be your #1 source for computer parts. Operated From. All inquires will be answered within 24 hours. Why Choose Us. We partner with the largest computer part wholesalers throughout the United States and provide the highest quality products available. Parts Condition: Good to Excellent. 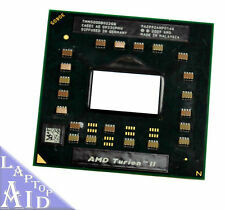 CPU - AMD A10-4600M-2.30GHz. 1 X Toshiba CPU. We are always there to help you. Image is for illustration purpose only. Unit - 2/37 Rose Crescent. Laptop Part Number. We encourage you to select one of the other services provided at CHECK-OUT, depending on how fast you need it. Courteous, knowledgeable and professional team. Why you should Buy from us. Manufacturer Part Number: SR0J2. Part taken from a good, working Toshiba Laptop. Need Help Deciding Which Part to Buy?. Num Of Pins: 988. F S B: 5 GT/s. Speed: 2.3 GHz. The CPU or Central Processing Unit is the brains of the computer, it executes the commands to run programs used on a desktop, laptop, notebook or other Toshiba product. When the Toshiba laptops or desktop get old or stop working you will need to have it replaced. Sometimes, you may choose to upgrade the processor to make it work faster and better. Most machines can handle different speeds of processors, which gives you more options for your laptop. How Do I Know if My CPU Needs Replaced? There are two main reasons to replace your Toshiba Satellite or other unit. The system will not turn on, which may be an indicator that either the CPU is most likely broken or another component. The system runs slow on your Toshiba Satellite and you want a faster processor to speed up your tasks rather than buying a new device. What Type of Processor Do I Need for My Laptop? You will need to make sure your Toshiba is compatible with the type of processor you decide to buy. You will need to know a few basic things about your unit. Type of socket - there are Socket P, Socket G2 or other types. You must have the same type of socket for the new system to work. Number of cores - you may have a dual-core, quad-core or even a single core machine. You will want to upgrade your laptop or other device to a higher option. Bus speed - this is how fast the system operates. It may be a 1066 MHz unit, an 800 MHz or other speed. What Features Do I Need to Consider for a CPU? You can purchase the "brains" for your Toshiba Satellite or other model by a system which is specifically designed for that product. However, you may also find third-party components which are built to work with various models. To ensure the Toshiba satellite works the way you want on your desktop or laptop, you need to compare features. 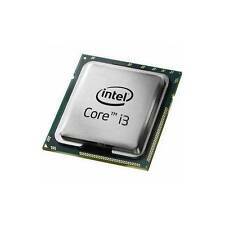 Processor type - some popular options include the Pentium, Celeron and Core 2 Duo. Clock speed - this can range from the low side with 2 GHz or up to 2.99 GHz and sometimes even higher. This tells you how fast your Toshiba can work. Consider the type of fan for Toshiba laptops and other devices. Many times, you will purchase the fan along with the unit, and you will want one that runs efficiently. Perhaps you want a faster version of the unit you currently have in your Toshiba. Content provided for informational purposes only. eBay is not affiliated with or endorsed by Toshiba.